TV Magic was formerly known as Ajust AV. To our thousands of previous customers who need a TV/Antenna service please now call 1800 TV magic - 1800 88 6244. 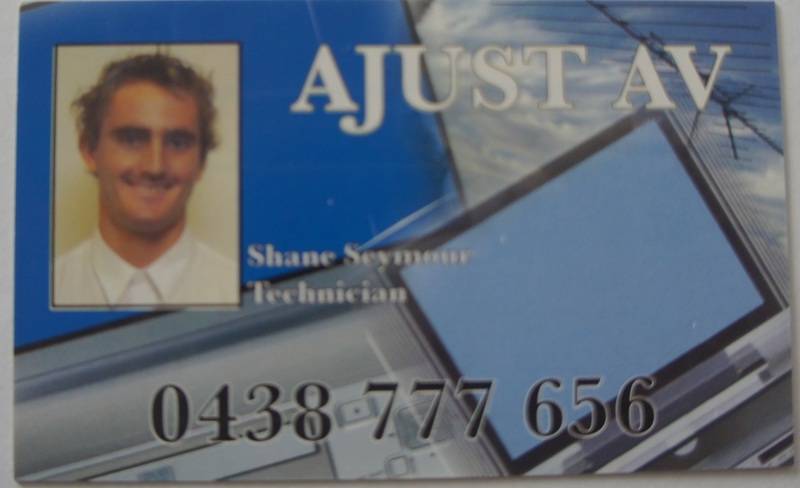 Shane and his expert team will be able to service your tvs, antenna or home theatre needs. TV Magic were formerly known as Ajust AV and 'Cheapest Tune-In Home'. You can call the following technicians directly for TV Service/Antenna Service. 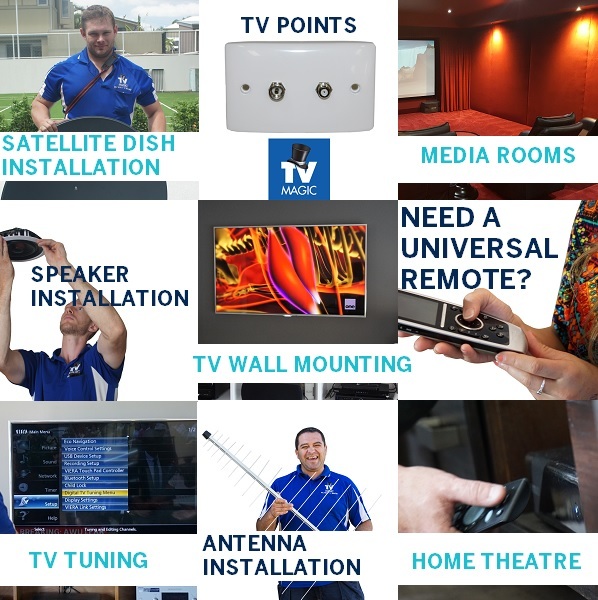 Ajust AV are still your number one TV antenna service and home theatre installation company. We upgraded and rebranded back in 2008 to TV Magic. Anything to do with:- tv's. antennas. home theatre! I often got asked: "How did you come up with the name Ajust AV?" I answer was simple, it was a play on words. (Adjusting AV equipment). It was one day when I had a customer call me up and ask: "Is that Ajust Avenue?" This happened quite often would you believe! AV obviously was an acronym for 'A u d i o V i s u a l'. The other reason Ajust AV was chosen was because it started with 'A'! To be first in the big yellow pages book! As a small business owner I thought this was crucial to having people ring me first! The strategy worked reasonably well until such a time it came time to get a website back (this was back in 2007). It was realised that the business had to upgrade and move on. TV Magic was a name chosen and voted upon by hundreds of friends and customers. 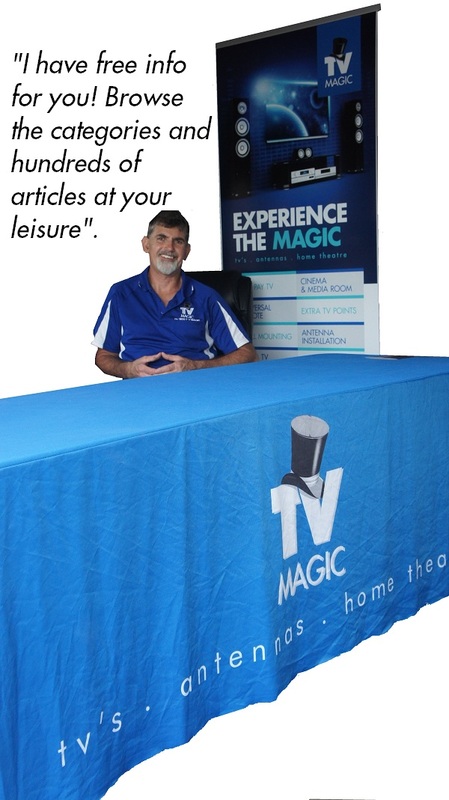 We're very happy with the name TV Magic and we believe our customers are too. It is easy to remember and has a ring to it. Amongst the names that were in the top three for the vote included: 'AV Magic' & 'TV Ninjas'. If you need TV service, Antenna Service, TV installation, TV wall mounting, Ajust AV will still be happy to service your needs! You will just be greeted on the phone by someone from TV Magic now! And have a TV Magic car and uniformed technician coming out to the job! Thankyou for your continued support and we look forward to doing business with you in the near future.